There is no simple answer to this question. Prices vary depending on the size of the building to be boosted and the type of system you would like to have installed in your building. 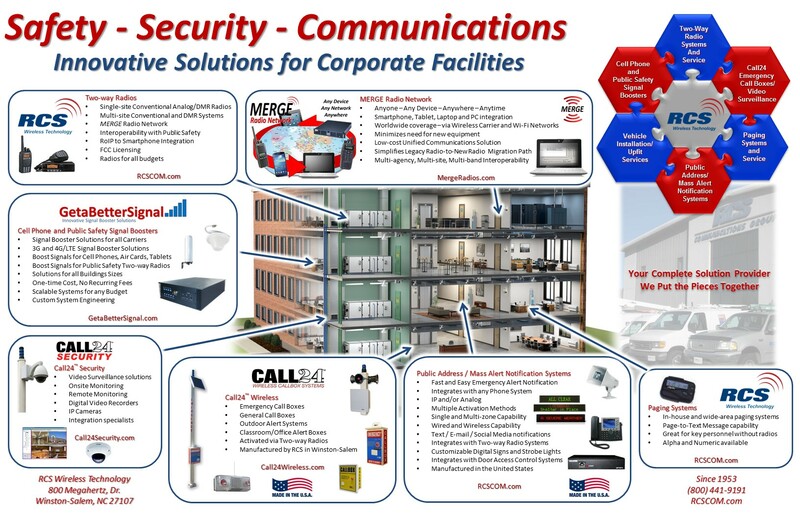 The BDA (Bi-directional Amplifier) systems sold and installed by GetaBetterSignal have proven themselves time and again to be the most cost-effective systems on the market, typically less than 25% of the cost of a fiber-based DAS system and less than 50% of the cost of a Small Cell system. How much does it cost to get a Quote from you? Unlike others, GetaBetterSignal charges you nothing for a Quote. Simply Click the blue "Get Better Signal" button below, complete our short questionnaire and hit Submit. If blueprints are available, you can send them to sales@getabettersignal.com to aid us in the process. You can expect to get a simple Quote back with 1 or 2 days. It may take slightly longer for more complex designs. How long does the Quote to Installation process take? Unlike DAS and Small Solutions which can take 12 - 18 months from start to finish, our BDA solutions can be installed and operational in as little as 3 - 4 weeks, sometimes sooner. We already have an older BDA system installed; can it be upgraded? The short answer is YES. The long answer is that it is possible to upgrade older systems, but they are not without their own set of problems. The overall "health" of the existing cables, connectors and the compatibility of antennas, splitters all play a vital role in how an Upgraded system will perform. In many cases, it may be best to replace everything except the existing cable just to eliminate potential problem areas. Can I install these systems by myself? Yes and No - The Kits sold through our website can easily be self-installed. The cables come in pre-determined lengths and already have connectors on them; therefore these systems are essentially plug-and-play ready, but will require a small amount of adjustment when activated. The User Guides will walk you through the installation process very well. The custom-designed solutions for larger projects will require professional installation. For these designs, we pull bulk cable runs and then cut/connectorize the cable to ensure than the minimum cable lengths are used thereby reducing the signal loss as much as possible. The amplifiers used for the larger commercial projects are required by the FCC to be installed by manufacturer certified installers. How do I find the Signal Strength on my Android phone? Check out this article from our friends at weboost for a description of what to do. How do I find the Signal Strength on my iPhone? My co-worker's phone and my phone are on the same network. He can make and receive calls in our building and I can't. What gives? We recently ran into this same situation at a recent installation project. During the testing phase, we were able to make and receive calls on the same Carrier network using both an iPhone and a Samsung Android phone. One of the employees in the building was not able to make or receive calls in the same exact location we were testing in using a different Samsung Android phone. After spending hours of troubleshooting out equipment/installation to ensure there were no problems with what we had done, we researched online and located an article that suggested our problem could be due to third-party Apps installed on the phone. The article seen here from thedroidguy.com, walked us through the process of placing the phone into Safe Mode which effectively stopped all of the installed third-party Apps from running in the background. Sure enough, the problem disappeared and this phone was now also to make and receive calls from the same test location as the other two. Here is another article from greendot.com regarding Safe Mode for Android phones that has a simple explanation of how to place your phone in Safe Mode. We have an old, single-carrier DAS system installed; can it be upgraded? The short answer is YES. The long answer is that it is possible to upgrade older systems, but they are not without their own set of problems. The overall "health" of the existing cables, connectors along with the compatibility of antennas and splitters all play a vital role in how an Upgraded system will perform. In many cases, it may be best to replace everything except the existing cable just to eliminate potential problem areas. What is the difference between a Cell Phone Signal Booster, BDA and DAS System? Generally speaking Cell Phone Signal Booster, BDA and DAS all mean the same thing and are often used interchangeably by the general public. However, within the Industry, they have different meanings. Cell Phone Signal Booster is primarily used when talking about amplified systems with passive components, meaning that other than a single power source going to the amplifier, there is no power, just boosted RF signal being transmitted to the distributed antenna system. These are almost always carrier-agnostic systems, can be designed and installed in a matter of weeks and cost considerably less than their DAS counterparts. In fact, you can easily save hundreds of thousands of dollars when comparing the two systems on an identical project. BDA (Bi-Directional Amplifier), DAS (Distributed Antenna System) and sometimes referred to Hybrid Systems are primarily used when talking about large-scale, fiber-based systems with active components such as head-end equipment and remote hub units. These systems are often carrier-specific, can take up to 12 - 18 months to design and deploy and will cost well into the hundreds of thousands, if not millions of dollars. Additionally, DAS Systems will add strain your existing internet connection due to its need to provide data back-haul to the Carrier networks possibly resulting in your need to increase the size of your ISP "pipe". At GetaBetterSignal, we specialize in "Cell Phone Signal Booster" systems and have saved our customers millions of dollars. Having designed and installed hundreds of commercial projects nationwide ranging in size from 2,000 to over 2 Million sq./ft. across a wide-range of industries, we are confident that we have the knowledge and experience necessary to help you with your project.